Halo is quite possibly one of my favorite games of all times. The campaign feels like it's designed to train you for multiplayer, and the story is spectacular. It helps that it was the first game I played that wasn't either Mario or Star Wars, but it still blew my mind to find out that a game could be like a science fiction novel without directly referencing an existing story. I got into science fiction through a summer reading assignment in elementary school. At my father's suggestion, I ended up reading Robert A. Heinlein's "Tunnel in the Sky", which probably wasn't appropriate for the assignment, but that's neither here nor there. What's important is that it aimed me towards the back of the bookstore and library, where they keep the good stuff. Today, I'm going to suggest some authors and books, some of which you've heard of and read, some of which are hopefully new and intriguing to you, and all of which are in the library of my hometown, which hopefully means that they aren't too hard to find at your local libraries, or bookstores. Or, y'know, competitively priced on Amazon. I'm terrible at describing things, so I'm just going to steal from TVTropes and save myself the actual work. It's essentially the Space Marine concept, as written by former Marines. Humanity has accelerated in terms of tech, and has FTL travel. The FTL works like the Pony Express, however, which means that things don't always get places instantly, or accurately, and so the Confederation of Human Worlds Marines (And Army, and Navy) were formed to prevent rebellions and galaxy-destroying wars. Y'know, the usual. It follows the 34th Fleet Infantry Strike Team (The titular StarF.I.S.T. ), a group of Marines, for several very-well-written books. 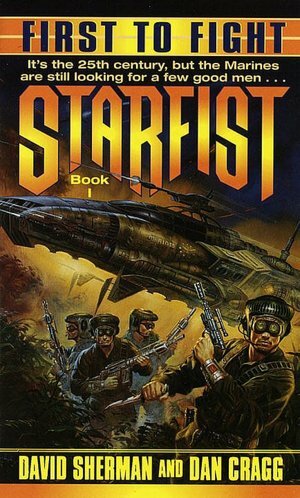 "Since both authors have served in the Army and Marines, the action is very realistic for sci-fi, with downtime shown as boring, tedious work that is hardly ever exciting", but usually generates strong character development in a short span. Tells the story of a man on a big colony ship, with a cryogenics system that makes Halo look low-tech and primitive. He wakes up to find monsters roaming the ship. If that sounds like the movie Pandorum to you, TVTropes promises you that things end "Far, far differently." 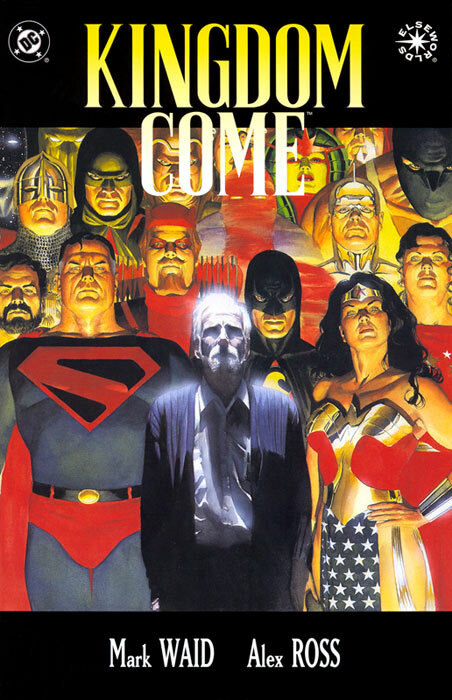 And because I would like to keep this fairly brief if at all possible, I'm going to wrap it up with an excellent comic, Kingdom Come. A DCU comic by Mark Waid, and painted (Yeah, you read that right) by Alex Ross. I played Injustice after I read it. It was kinda reminiscent, but nowhere near as poignant. I could probably write an essay about the themes and topics of this comic, but given that this is already a full blog post, I'll pass. Good luck, and good reading.